As we are creatures of routine Thursday night is often ‘curry night’ for us, but not of the takeaway kind. France doesn’t really do curry and in our little bit of rural France there isn’t really much choice in takeaways at all. I have developed my own mixes of spices and other ingredients over the years to make my own delicious curries, much healthier and cheaper than high street curries and I even have my own naan bread recipe too. No two of my curries are the same as a lot depends on what is in season, or what needs using up in the fridge, but the following recipe will work just as well with any diced meat, courgettes, butternut squash, plus tinned lentils or chickpeas. Having watched Dave Myers and Si King (The Hairy Bikers' Great Curries ) on TV last night I just have to share their brilliant top tip for curry paste. I regularly make up large batches of walnut pesto using wild garlic, basil, rocket or parsley and freeze it in ice cube trays so it is always ready to use. 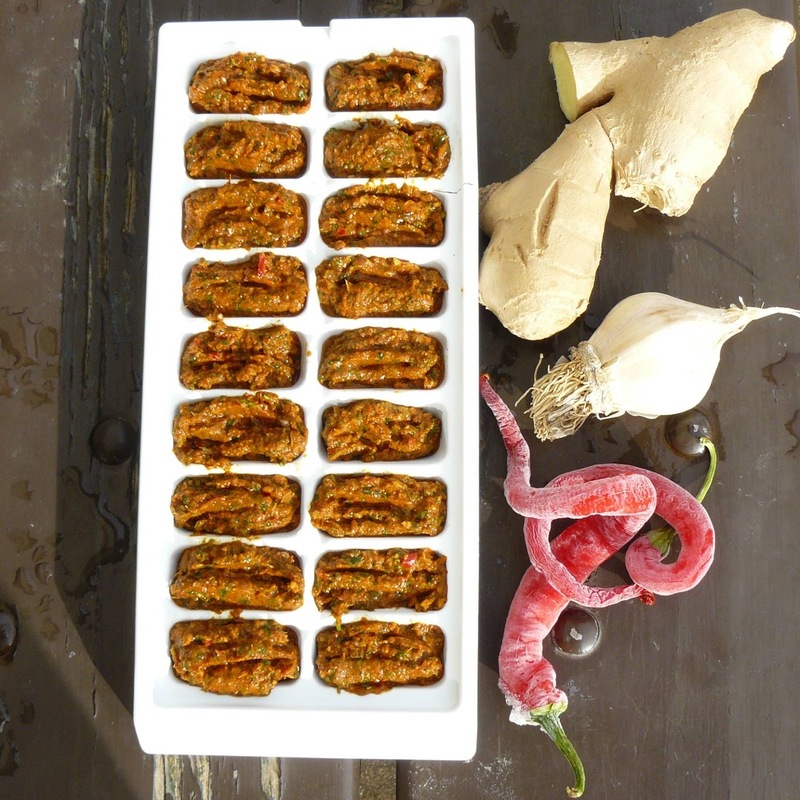 Si and Dave made a huge batch of curry paste in a food processor and froze it in…you guessed it – ice cube trays – I seriously can’t believe I didn’t think of this myself! Here is what went into my batch of curry paste today, some will be used tonight with lots of sliced onions sautéed with 2 tsp of cumin seeds, mushrooms, diced carrots, peppers and a tin of lentils, and the rest is safely tucked up in the freezer. 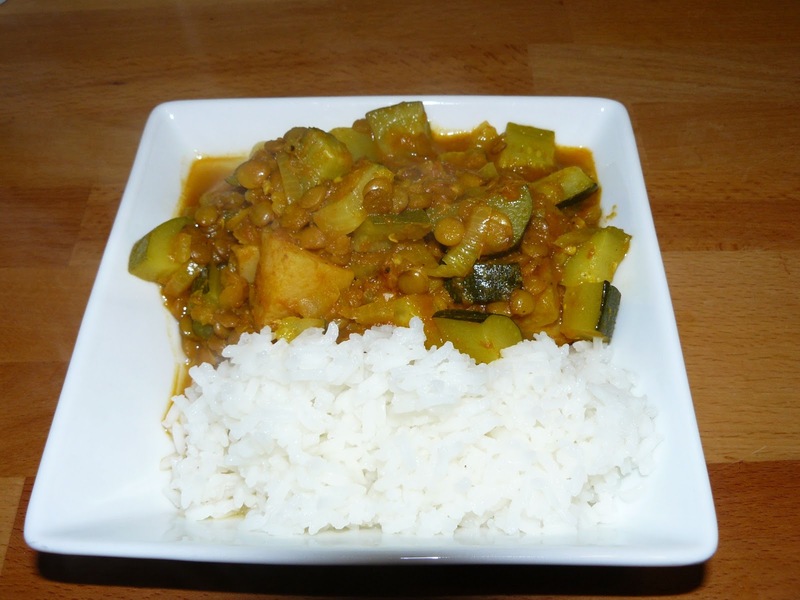 For a creamy curry I add a small carton of coconut milk just before serving or top tip for a healthier option, mix 1 tbsp of desiccated coconut, 1 tbsp ground almonds, 125g natural yoghurt and 3 tbsp of water and add this instead of the coconut milk. Another curry top tip is to add an extra whole chilli but remove before serving and slice with a pair of scissors. This peps up the heat for Ade and I when added to our plates, without making it too hot a curry for Ed. I always serve my curries with rice and naan breads. Hi Did you cook the curry spices before freezing ? 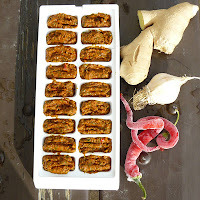 Hello, I didn't cook before freezing, just made the paste and put in the ice cube trays. Most of this batch has gone now as I've been adding a cube or two as seasoning to dishes like casserole and soup!